ADA Compliant, Install Position: Up, Wire: 7 In. 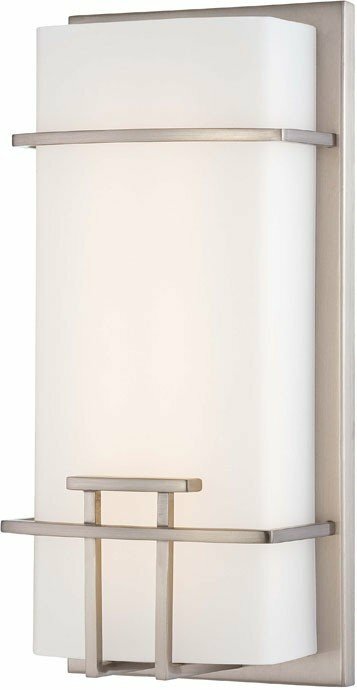 The George Kovacs P465-084-L Wall Sconces collection Sconce Wall Lighting in Brushed Nickel uses LED light output and brings Modern style. 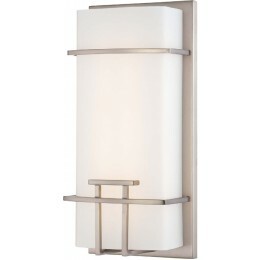 This item is 12"H x 5.5"W. The total wattage is 20 and the voltage is 120 volts. 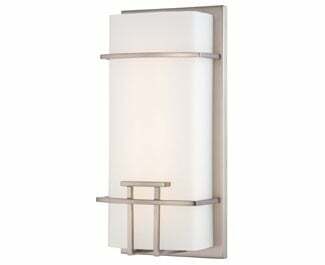 The George Kovacs P465-084-L requires 1 bulb (included). Additional Information: Shade-Etched Opal Glass.